When Subaru introduced the Impreza in 1992, it quickly become a popular choice for drivers searching for a compact family vehicle. The vehicle has gone through multiple major updates over the years, and it is currently in its fifth generation. The modern cars are known for their combination of style and affordability and for delivering a comfortable driving experience. 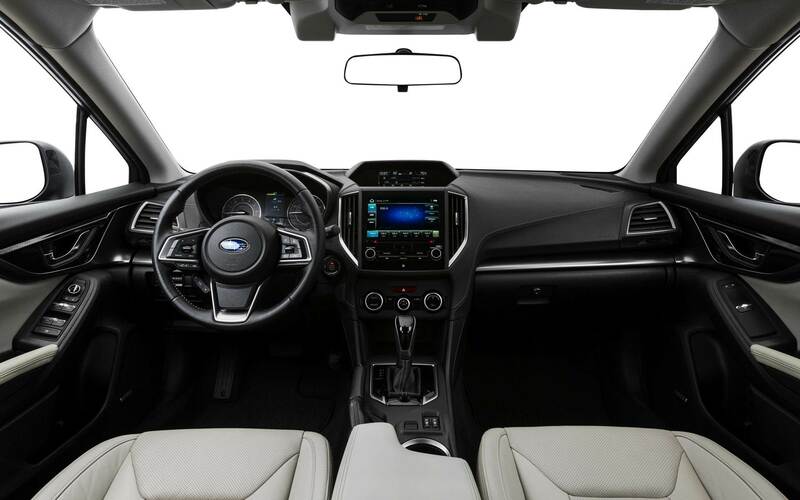 Before you head to Flatirons Subaru serving Boulder Fort Collins Denver, you can compare model differences in detail to determine which model year that you should focus your attention on. Both the 2017 and 2018 Subaru Impreza models are available in a hatchback model and a four-door sedan model. Both versions that are available in Boulder Colorado come in your choice of seven to nine exterior color options, depending on the trim level that you select. 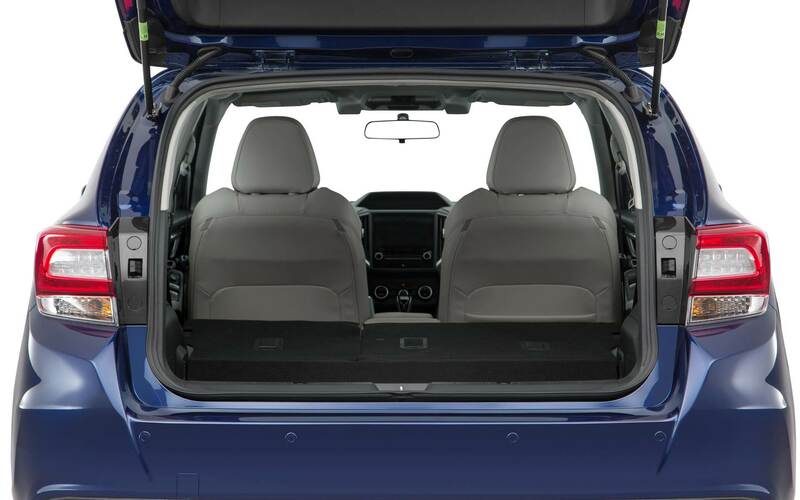 Available trim options include the standard trim as well as the Premium, Sport and Limited trim levels. All trim levels for both years boast a slightly curved grille with a single bar flowing out of the automaker's emblem. The grille makes a graceful transition into the headlights. A notable update is that most trim levels now have an automatic headlight function when you turn the wipers on. Depending on the trim level that you select, your car comes with 16 to 18-inch alloy wheels. While most of the exterior of the Impreza remains unchanged, there are noticeable updates to new heated elements in the windshield and the side mirrors. In the Sports edition, you will also notice that the exterior has enhanced features that give it an even more athletic appearance than it had in the previous year's model. With the affordable price of this compact family car, you may think that it would be rather poorly equipped, but you will be pleasantly surprised at the incredible range of standard features available in the 2018 and 2017 Subaru Impreza models. During your test drive in Boulder Colorado, you will see that standard equipment includes power windows, Android Auto, Apple CarPlay and a 6.5-inch touchscreen navigation feature. Upgrades between the 2017 to 2018 model years are trim-specific. For example, a standard feature that is new to the 2018 Premium trim level is heated front seats. The new Sports trim level boasts an eight-inch touchscreen navigation system and a keyless ignition with a push-button starter. In the high-end Limited trim level, car buyers will enjoy standard leather seats with power adjustments for the two front seats and automatic climate control. These exceptional updates are combined with a full range of other standard equipment that carries forward to the new model year. Some of these excellent features include a backup camera, cruise control, a stunning dashboard and instrumentation panel design and more. While upgrades to the interior and exterior are minimal, the automaker has made more substantial improvements to your driving experience with mechanical updates. 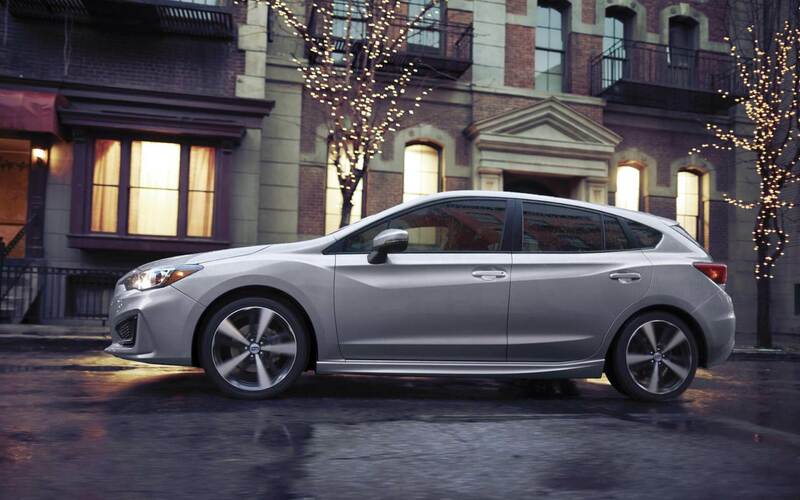 In the base trim level of the 2018 Subaru Impreza, you can choose to add a continuously variable automatic transmission to the vehicle for an additional fee. In the new Sport trim level, your vehicle will include a standard active vectoring torque feature. This is designed to improve the handling of the car. If you choose a 2018 Sports model, the manual version now includes a short-throw shifter. Remember that the base engine for all trim levels and both model years is a 2.0-liter, four-cylinder DOHC gas engine. This engine gives you an athletic performance with 152 horsepower and 145 foot-pounds of torque. Test driving a few different options in Boulder Colorado gives you an excellent way to compare model differences in person to see how the various updates affect driving performance. 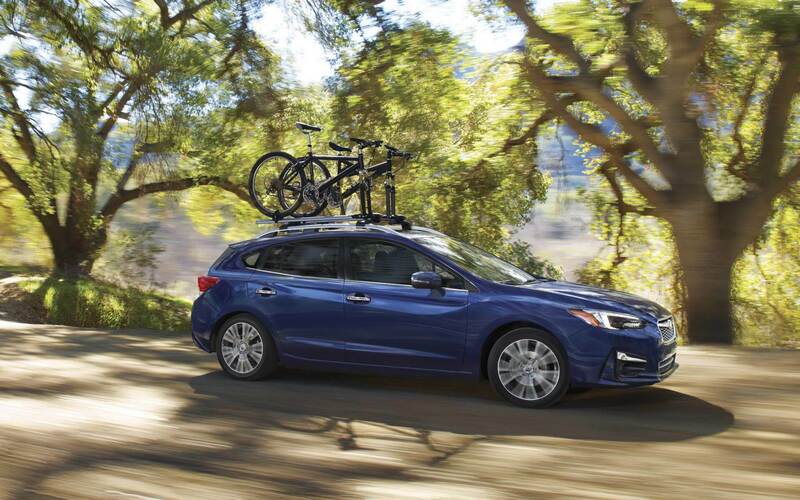 If you are trying to decide whether to buy the 2017 Subaru Impreza or the 2018 model, you may be curious about how these two model years compare in terms of safety features. The good news for interested buyers is that both model years have excellent safety ratings. This includes a five-star rating for overall safety from the NHTSA for the 2017 and the 2018 models. It also includes the highest scores available for the five IIHS safety tests for both model years. The 2017 model included advanced safety features, such as a rear cross-traffic alert and an optional Starlink roadside assistance feature. It also included the signature EyeSight feature, which has adaptive cruise control, lane keeping assistance and emergency braking. The 2018 model also has the EyeSight features and the rear cross-traffic alert function, and it adds reverse automatic braking to mitigate collisions while backing up in the vehicle. You will be pleased to learn that both model years have a full list of other safety features, including child safety features, adjustable headrests, airbags and more. 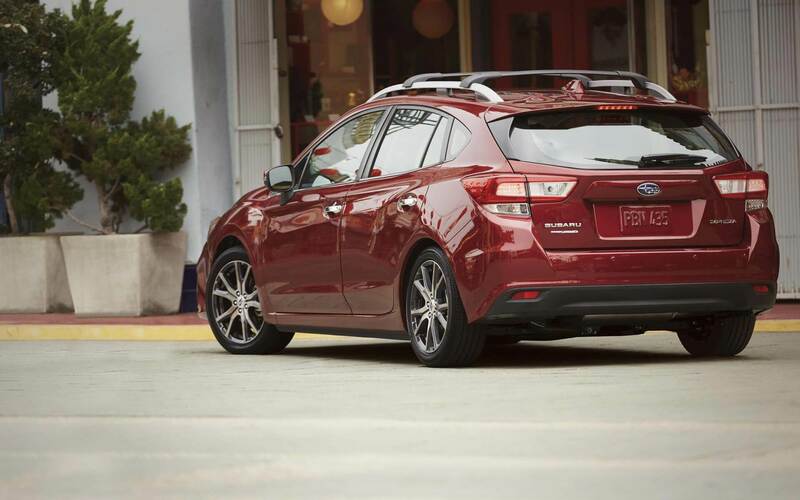 After you compare the model differences between the 2017 and 2018 Subaru Impreza model years, you can see that both model years are well-equipped and offer true value to drivers. Because the 2018 model year has some beneficial and notable improvements, it deserves a closer look by serious car shoppers. At Flatirons Subaru serving Boulder Fort Collins Denver, you can admire the incredible updates in the new model year in person and learn about special offers that are currently available. You can also test drive the various trim levels for both model years to finalize your buying decision.